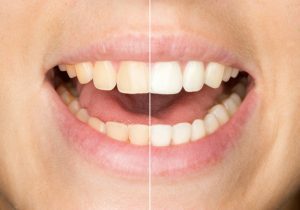 If you’re considering whitening your teeth this summer, Mark Gray Cosmetic and Family Dentistry has amazing options for you! We’re proud to offer two distinct teeth whitening systems that will meet the needs of all of our patients. For example, those with stubborn staining on their teeth will benefit from the effects of the KoR Whitening system, which is carefully designed to remove even the deepest stains and discoloration. Learn more about KoR Whitening Houston vs Zoom Whitening. KoR Whitening is an intense deep whitening system designed especially for patients who have stubborn stains such tetracycline and fluorosis, which typically don’t respond to standard whitening systems. KoR does this by using specialty custom fit trays designed to not only protect your soft tissues from excess whitening gel, but also protect teeth from saliva, which can contaminate whitening gels and diminish the expected results. KoR also uses a specially designed gel delivery system that keeps each chemical component of the gel separate, safe, and cold until the moment of delivery. This ensures that the whitening gel delivered is the purest formula for optimum strength. KoR combines in-office treatments with take-home trays that work over a number of treatments designed to ensure that you’ll achieve maximum results when using the KoR system. The Zoom Whitening system also achieves great results for patients looking to give their smiles a boost. Completed in only one in-office appointment, Zoom uses a high strength whitening gel combined with a special light designed to activate the whitening gel. The results are immediate and you’ll leave our office the same day with a whiter, brighter smile. Which System is Right For Me? If you’re considering enhancing your smile with teeth whitening, the first place to start is with a consultation with Dr. Mark Gray or Dr. Newman. Our doctors will discuss your goals, concerns and desires for your smile with you and recommend the whitening system that will best fit your lifestyle, needs and budget. We want to ensure that you achieve the best results possible, so our doctors will take the time to review each system and what treatments entail to ensure that you achieve the smile of your dreams. If you’ve struggled with stubborn stains or discoloration on your teeth, and you’ve been disappointed by other whitening systems, contact us to learn more about what KoR has to offer. If you’re looking for a quick and effective boost to enhance your smile for your next vacation or big event, contact us and schedule your Zoom appointment. We can’t wait to see your whiter, brighter smile! Learn more about CEREC and how it can benefit your smile. We won’t rest until you feel thrilled with your newly complete smile! Accomplish a Straighter Smile with Help from Dr. Mark Gray.